This imaginary view is based on the islands at the extremity of the lagoon where Venice joins the sea. The landscape is dominated by a ruined arch, with a jumble of towers and a distant view of hills beyond. The stillness of the scene is enlivened by everyday figures. 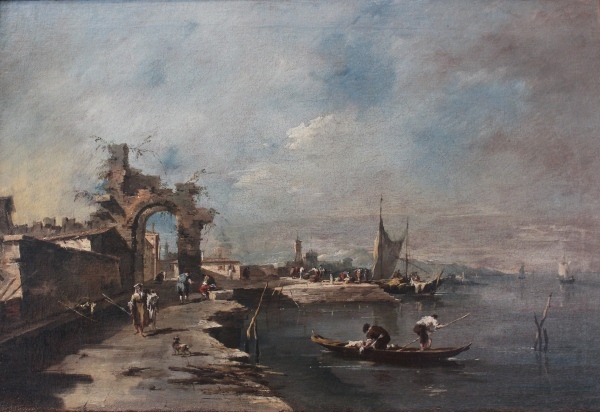 There are fishermen in a boat, a woman carrying her basket of washing along the quayside, a little dog, and, further away, a crowd unloading a boat.